I was sick and tired of having to click all of the failed Travis jobs. Here's a couple of one-liners that you can add as bookmarks to restart all of the failed jobs. Have you ever been using your Mac and kept needing to click through multiple menus in order to keep activating a menu item that doesn't have a shortcut? Click, no longer. Today you'll learn how to set up custom shortcuts for anything (and the best part is, it's built in). tl;dr: Longer passwords from the same character set are better than shorter passwords from the same character set. A larger character set is also better than a smaller character set. The larger these are the more potential combinations of characters can make up a password. Computers can process password attempts much quicker than humans. I like security, especially passwords. They are one part of how I keep unauthorised people from accessing my data, so they're kind of a big deal. If you thought that you'd be able to have a secure password to protect all of your finances, that situation is actually a bit bleak (at least if you're using one of the "big four" banks here in Australia). How well did I avoid The Force Awakens? Obviously there are going to be spoilers in this, but no more than what has been in trailers, posters, and images released online to news publications. If you don’t mind this, read on. Otherwise, bookmark this and come back to it after you’ve seen the film. This is not a review of the film. Firstly, I’m a huge Star Wars fan. I knew it was going to be a challenge to avoid as many of the images, trailers, previews and spoilers that were bound to be splashed across the internet. I managed to succeed, for the most part. Here’s how it went for me. There's some really nice imagery accompanying these artists and scientists talking about the intersection of both of their fields. 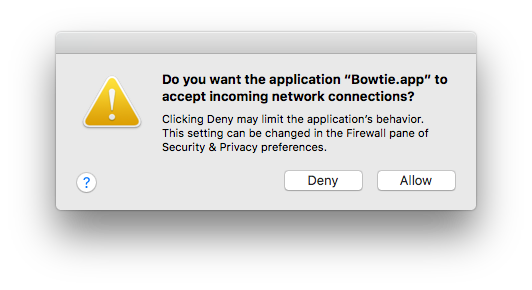 If you've enabled the built in firewall in macOS, the system can sometimes ask if you would like to allow an application to accept incoming connections. Usually this is simply a matter of choosing "Allow" or "Deny" and the system will remember your selection. However, certain apps may show this dialog every time they're launched. Let's look at how to fix that. Ah, internet comments... They never cease to amaze me, but rarely in a positive way. From comments about Naziism, blatant spam, or people happy that something failed (and these examples are just from one Taylor Swift video I've taken a look at for this post). Wouldn't it be nice to not have to see these comments? Thankfully, two people have done the work to make it simple for you! Keep up with the times, rights holders! You can’t do that! You have to get [product/service X] through us, on our terms, just like it’s always been done! With over half a billion active users, and ranking as the second most visited website in the world, Facebook is arguably the most popular social networking website. When it feels like everyone and their dog has a Facebook account, it can only be a good way to stay in touch with people, right? While the obvious answer would be yes, I'm inclined to disagree.